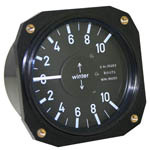 A variometer (also known as a rate-of-climb indicator, a vertical speed indicator (VSI), or a vertical velocity indicator (VVI)) is an instrument in an aircraft used to inform the pilot of the instantaneous (rather than averaged) rate of descent or climb. 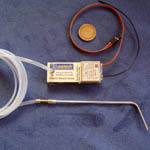 Once submitted, we will try and place you in contact with a suitable Variometers supplier within 48 hours. 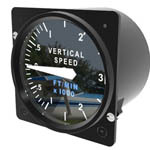 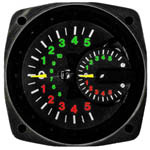 Falcon Gauge Vertical Speed Indicator from Aircraft Spruce and Specialty Co.